Ioni. 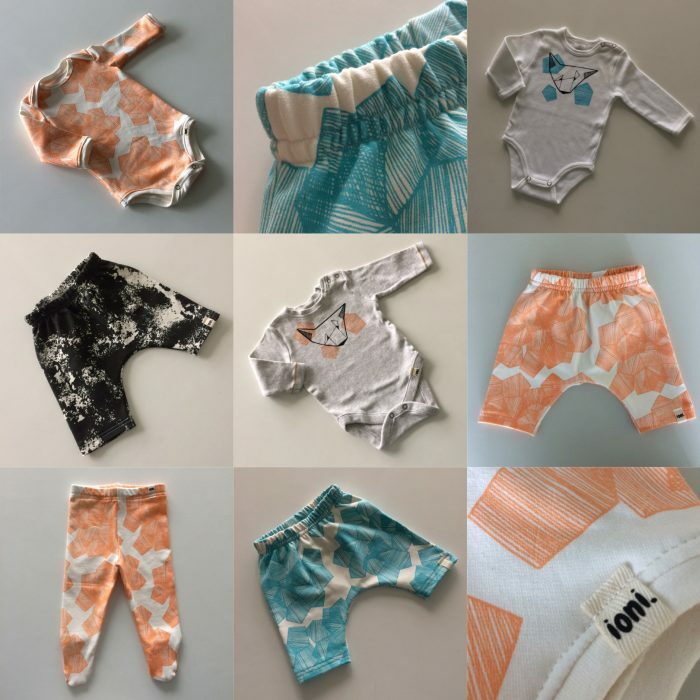 is a personal project by Saga Santala, where she created her own baby clothing collection. The project included designing patterns, printing the patterns on textile, sewing clothes of jersey-material and finally making a brand around the clothes. Ioni. – is a personal project about making my own baby clothing collection. The project consisted of designing patterns, printing the patterns on textile, sewing clothes of jersey-material and finally making a brand around the clothes. 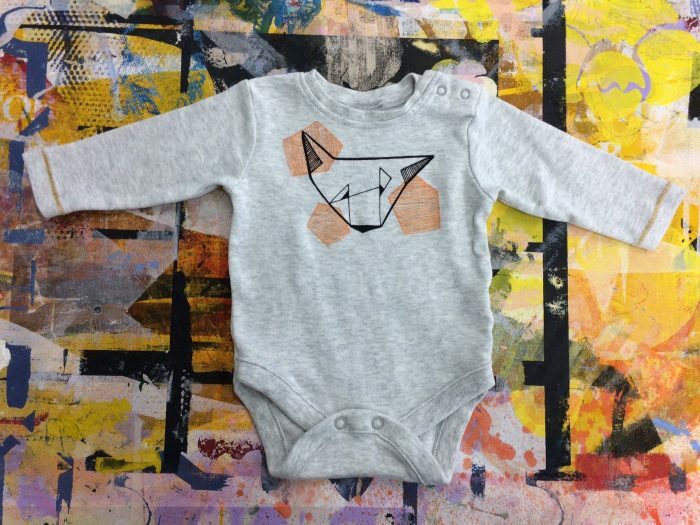 My goal was to learn new skills and make a good quality baby clothing collection, to have in the end of the project something that I could use for building my own baby clothing company one day. First, I learned about making patterns. Being an unfamiliar topic for me, my pattern-making journey was filled with uncertainty and learning by doing. 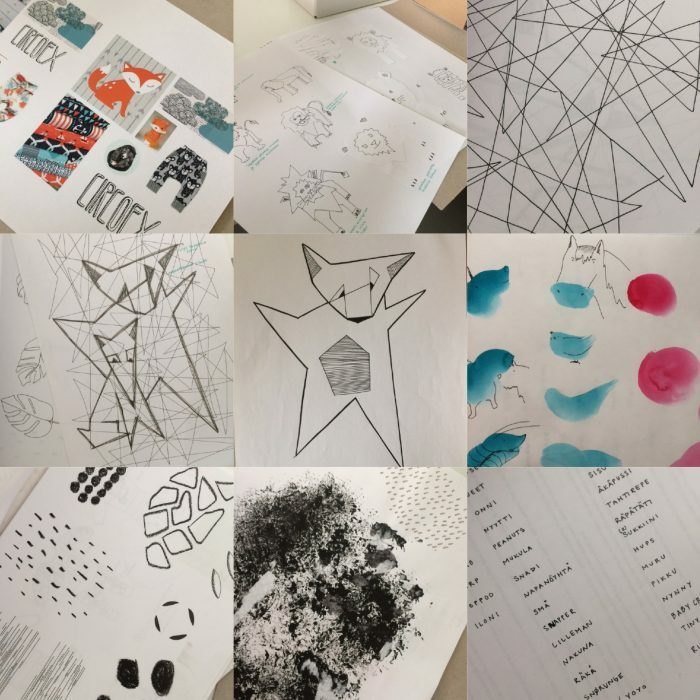 Somehow, after many tests with different materials and a lot of sketching and doodling, I ended up with some beautiful patterns that I accepted for my collection. Then it was time to look for clothing patterns for comfortable baby clothing with style and good usability: Children are not the easiest ones to dress up, with all their energy and big emotions towards dressing up. I managed to find nice patterns with a touch of Scandinavian simplicity. After using silkscreen technique for printing the patterns, I cut the textiles and made clothes out of them with a normal sewing machine and an overlock sewing machine. Finally, I branded the clothes and attached the brand-tags to them. During the project, I learned many new skills and ended up with a beautiful baby clothing collection that I am planning to use as a base for my Master’s thesis and a future baby clothing company of mine, to hopefully be at least partly self-employed one day, using my precious time for something that I love: making beautiful children clothes that can give happiness to people’s everyday life.